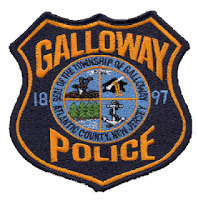 On July 15th, 2013, at approximately 1:30am, a 42 year old female was robbed at gunpoint on Cherokee Drive in Galloway Township. An unknown black male in his early 20’s, wearing all black, reportedly pulled a silver handgun and demanded the female turn over her pocketbook and cell phone, as she exited her vehicle. The suspect is described as approximately 5’5” to 5’6” with a medium build. Anyone able to provide additional information is asked to contact Detective Corporal Eric Hendrickson at (609) 652-3705 ext 339.